Our fudge is so smooth, so creamy, so rich, and so delicious - it literally melts in your mouth. One taste and you'll not only be a believer, but you'll be hooked! 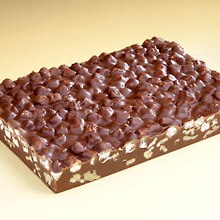 This decorative gift box contains one pound of Rocky Road Fudge.